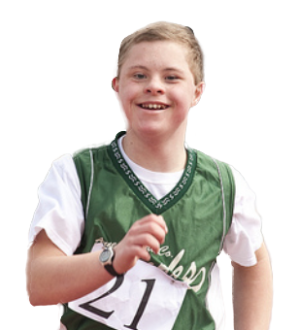 Special Olympics Israel challenges national icons to #PlayUnified! Special Olympics Israel athletes are daring Israel’s most famous sports icons to Play Unified with them, and they’re calling on the public to help make it happen! 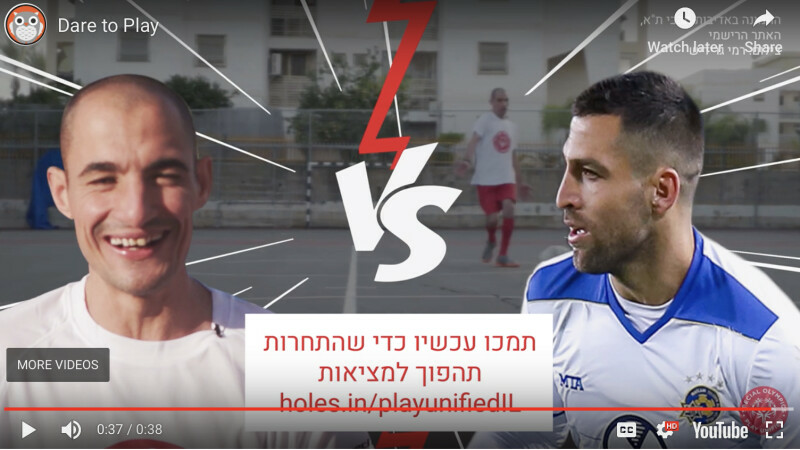 The ambitious new #PlayUnified campaign—the very first of its kind in Israel—allows the public to sponsor Unified Sports duals between Special Olympics Israel athletes and national sports champions. Among the challengers is Special Olympics Israel football player, Albert Binyaminov, who has dared football icon Itay Shechter of Maccabi Tel Aviv to join him on the pitch. Albert is calling on the public to sponsor the match via a crowd funding platform. The money raised will go towards funding the Israeli delegation at the World Games Abu Dhabi this March! Albert is pulling no punches in his challenge to Itay. He says, “Do you think you have what it takes? Dare to play with me! Shechter, are you afraid to play?”. The question is can the public make it happen, and will Itay take up the challenge? Covering the sports of basketball, swimming, judo, football and tennis, the ‘Dare to Play’ campaign is currently running across social media channels, in particular on the Special Olympics Israel Facebook page. The message to everyone is to Play Unified, Live Unified with Special Olympics athletes emphasising their talent, strengths and tenacity. Check out the crowd-funding page to learn more!